AMHERST — A fan that won’t spin, headphones that no longer play music and a lamp that doesn’t light up. Many see these items as trash, but Ben Gagnon isn’t ready to take them to the curb just yet — he’s hoping he and his team can fix them all. 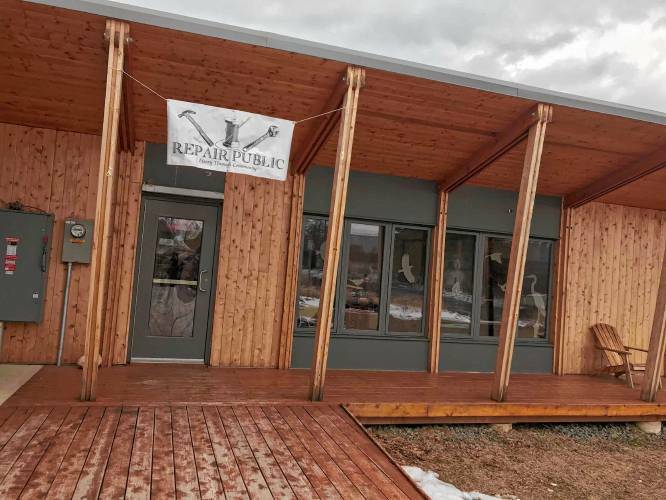 Gagnon started Repair Public, a volunteer-run, not-for-profit repair clinic that’s been hosting regular events throughout the Valley since 2016. People come in with a broken item and are paired with a volunteer to help fix it. “Fixery through community,” is the group’s tagline. 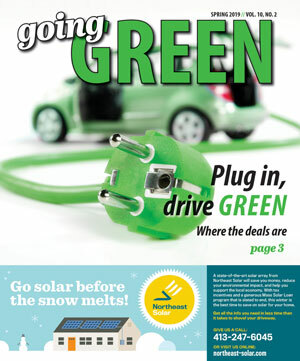 The central goals, Gagnon explained, “Basically keep things out of a landfill and encourage responsible ownership of items.” Repair Public seeks to extend the life of items that more and more are built with the idea they will be replaced a few years later. 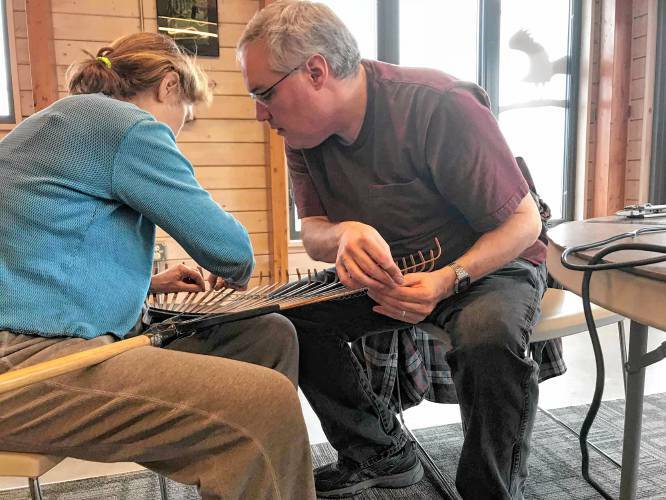 Rona Leventhal, of Ashfield, and Mike Barnard, of Greenfield, worked together in one corner trying to repair Leventhal’s rake, using a long piece of metal to secure the prongs on the rake’s head to each other. They were two of a few dozen people who filled a room at the Hitchcock Center for the Environment for the latest Repair Public event on Sunday. Leventhal, a self-described “compulsive recycler,” was excited to use Repair Public for the first time, clean out her basement and put previously broken items to use. “It’s both ecological and economical,” she said while working on her rake. Though Repair Public has fixed everything from kitchen chairs to a marionette dog, the most common items brought in are lamps, which Gagnon said are easy to fix. “One out of every 6.2 items is a lamp,” Gagnon said, adding that he keeps a spreadsheet of data on items brought in. Repair Public is based on a 2009 project in Amsterdam called “Repair Café,” a meeting place where volunteers fix people’s broken items in effort to reduce waste. The idea has spread into well over a thousand similar projects worldwide. Gagnon loved the concept of repair cafés, but noticed there weren’t any in his area. 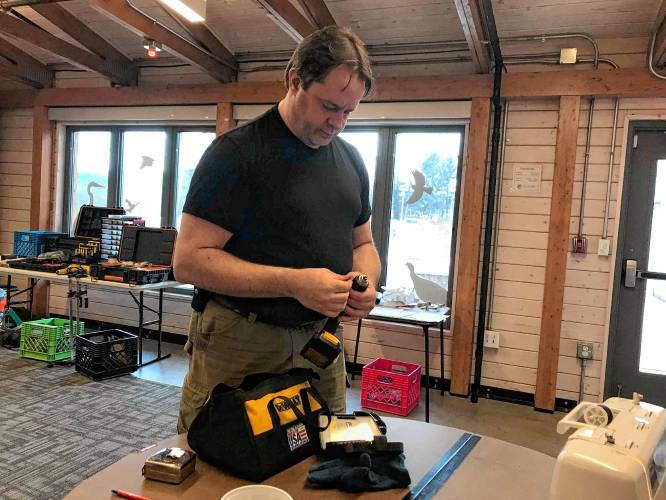 So in the fall of 2016, he held the first Repair Public event in Greenfield and now hosts regular events, though they are not formally associated with the Repair Café network. It’s a pretty low-cost operation, he explained, as volunteers bring in a lot of their own tools and people put cash donations into jars set on fixers’ tables. Gagnon, whose day job is in IT, comes from a family of engineers. “I’ve always been into tinkering — fixing my own cars and building furniture,” he said. Some repair-seekers regularly frequent the events. Susan Crim, of Amherst, made her third trip to Repair Public on Sunday seeking help fixing a set of blinds that would no longer open and close. At past events she’s gotten successful fixes on vacuum wheels and a broken chair, as well as sharpened several kitchen knives. For Crim, there’s an environmental driver, but it’s also about economics — she’d rather donate to Repair Public than spend much more money on new blinds, she said. Mindy Domb, D-Amherst, was also in attendance, and said she’s interested in supporting legislation to encourage more people to fix broken items rather than throwing them away. Domb said her constituents care about the environment. “People in my district want to repair and reuse,” she said motioning to the room of people tinkering away on their broken items. At one of those tables, Atreyu Hannon-Moonstone, a University of Massachusetts, Amherst student, watched as Dan Gilbert used a soldering iron on his over-the-ear headphones which have been broken for the past six months. Gilbert, of Easthampton, is no stranger to electronics — he runs his own company that makes electronic music parts and is mostly self-taught. He has been volunteering sporadically for more than a year and has fixed items like a bread maker and even a 40-year-old radio. “It’s satisfying to fix things,” he said as he adjusted wires inside the headphone earpiece. “It’s a nice way to connect with folks,” he added. After some soldering, Hannon-Moonstone plugged the headphones into an iPhone and music began to play out of both earpieces.